Silver Creek Leadership Academy: Contact Us! Thank you for your interest in the Silver Creek Leadership Academy! This program is not for everyone. You must have the desire to work hard, stretch yourself and think of others. You must be willing to step outside your comfort zone and assume leadership positions, as well as know when and how to be a good follower. Applications accepted: December 18, 2018—January 25, 2019. Acceptance: You will be notified via email if you've been accepted to SCLA by January 29th. There is a short, informational meeting for all students and parents accepted to SCLA after registration night is complete on January 30th at 7:15 pm in the auditorium. Application Form: The primary application period has passed; however, you can still access the form and be placed on our wait list. Letter of Recommendation: You'll need to provide one (1) letter of recommendation from an adult in your life OTHER than a teacher or parent (e.g. coach, piano teacher, scout leader, pastor, neighbor, employer, etc.). This should be a brief paragraph and can be submitted electronically by having the adult email the letter of recommendation to sclaletters@gmail.com. If they prefer, they can mail/drop off the letter at Silver Creek High School, Attention: Carrie Adams, 4901 Nelson Rd, Longmont, CO, 80503. Video: Please send a two-minute video starring you! You'll have two minutes to share who you are with the selection committee. Are you musical? Then play something for us! Artistic? Share your work with us. Athletic? Show us what you do. Techy? Volunteer? Creative? Funny? Gamer? Love public speaking? Love animals? You get it; just take two minutes and help us get to know YOU! This doesn't have to be a spectacular production — you can use your iPad or whatever camera you have and have a friend video you. When you are done filming, please send it to sclaappvideo@gmail.com. If you have any questions, please email Ms. Adams using the form below. Copyright © 2012–2019 Silver Creek Leadership Academy. All rights reserved. 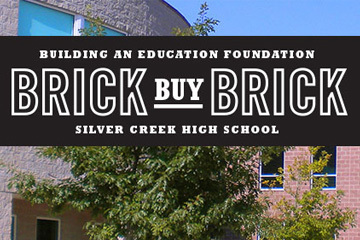 SCLA is an elective course at Silver Creek High School located within the St. Vrain Valley School District. It is listed as a 501(c)(3) organization.